Leonardo DiCaprio should probably win an Oscar this year, but he won't and that doesn't really matter because he is a movie star and we all understand he is a serious one. Is being a movie star better than being an Oscar winner? Cuba Gooding Jr. probably wouldn't think so, but I'm sure Jason Statham would argue that point and just for the record: he would win. What would winning an Academy Award, an Oscar if you will, actually do for DiCaprio anyway other than symbolically confirm (for him, maybe) what the masses already believe? It is a reasonable question to ask as the Oscar voters seem to have grown more disconnected with mainstream audiences the past few years than even the despicably contrarian critics seem to be lately. This brings in a more interesting question though as there have been plenty of discussions surrounding the film in which this DiCaprio performance takes place. The Wolf of Wall Street has been accused of many things, both from general audiences and those who participated in the actual events it's based on, but strictly as a film it fulfills what both mainstream audiences and critics are typically looking for in their movies: entertainment as well as higher art. It has succeeded in being successful not only from a financial standpoint (over $300 million worldwide on a $100 million budget), but also in creating ongoing conversation that debates the point of the amount of lewdness and profanity in the film and whether it's glorifying excess or simply holding a mirror up to society and forcing us to take a hard look at what we've made the points of our lives out to be. This is a film that will continue to be discussed and won't simply fade out of public consciousness and this status is owed, in many ways, to the presence of someone like DiCaprio in such a film. 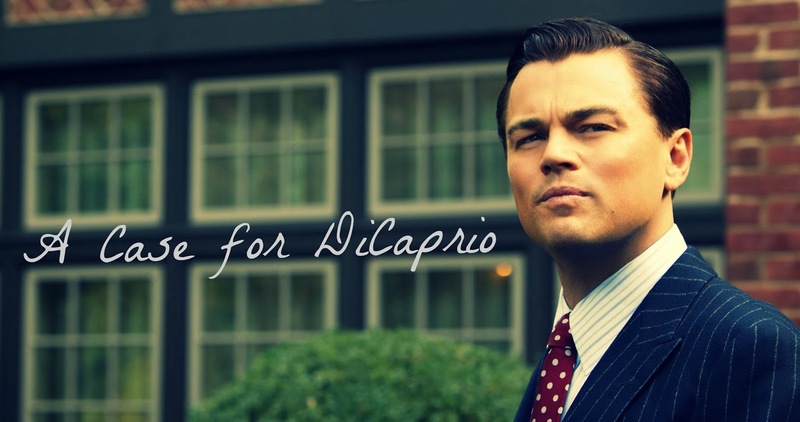 The fact that DiCaprio is such a major movie star and that his presence in a film with content such as WOWS has made it more than just an arthouse feature trying to climb out of conversation beyond that of the movie-loving community stands to show what the right person in a certain project can do for the overall reputation of that film, but the amount of charisma and just full-on investment that the actor puts on display here elevates what would have been considered noteworthy simply because it was a DiCaprio film, but has since gone to greater heights because it is a film that features an even more stellar showing from the actor than we've come to expect. The bigger question this kind of divided (though mostly positive) reception begs is would it not be somewhat gratifying to both audiences (those looking to film as more than simple entertainment and those looking at it as nothing more than a diversion) to see DiCaprio take home the statue for what is almost indisputably the best performance he's ever given? Would it not be a nice way to patch the growing distance between those who gave The King's Speech the Oscar and those who were rooting for The Social Network or Inception? Should we go back a little further and even mention the divide created by an earlier Chris Nolan work? I realize the Oscars are as subjective as any top ten list and that those who make up the Academy are looking for different things in their best picture or actor nominees than a 26 year-old who's only been writing about movies for four years, but in the end the awards and anything I write is all about promoting these movies and generating money so that we all have another batch to disagree on next year so every now and then, why not reward the masses by crowning one of the world's biggest (and only true) movie stars a winner when he deserves it and not for a lesser role down the road when they feel they owe him? 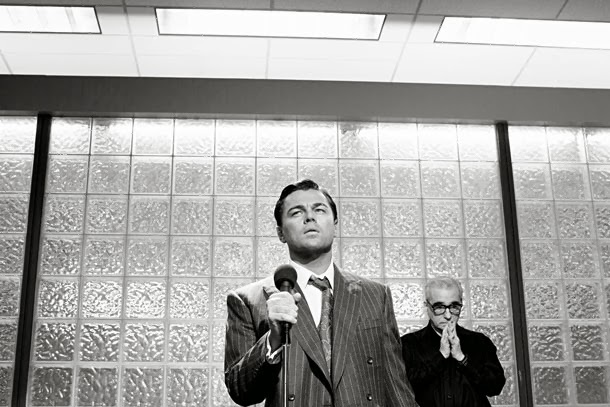 Leonardo DiCaprio and Director Martin Scorsese on the set of The Wolf of Wall Street. You could easily replace DiCaprio's name in this article with someone like Brad Pitt who lives up to the elite status of being a true, classic Hollywood movie star and also happens to generally be a phenomenal actor that has delivered more than a handful of performances worthy of being recognized with a statue. It just so happens that despite being nominated several times (best supporting actor once and best actor twice) he has yet to be rewarded for his efforts, but is much further down his career path than DiCaprio is. Still, we all know Pitt is a movie star as he can open something like World War Z to the tune of nearly $70 million and so it stands there is little for Pitt to gain from winning an Academy Award other than having "Academy Award Winner" scrolled before his name on trailers which still, will do little to sway the minds of those in the audience as to whether they will see the movie or not; they will see it because Brad Pitt found it worthy of his time and that he has established himself not only as a popular actor, but a credible one, makes that time valuable to us as well. This same line of thinking is proved correct by DiCaprio when discussing last years The Great Gatsby, a film arguably no one was asking for, yet because it featured DiCaprio doing what he does best it opened a week after Iron Man 3 to the tune of $50 million (something Johnny Depp couldn't do the year prior) and made it abundantly clear that DiCaprio was not just a critical darling constantly putting all his eggs in Scorsese dramas or Oscar-bait films simply to nab an award and clear up any confusion that he is actually a great actor, but that he is an actor who can open an adaptation of a classic American novel in the middle of summer tentpole season and still score. I don't expect or even think The Wolf of Wall Street should win the award for best picture when March 2nd rolls around, but the overall quality of the film is not what is in question here, but rather why someone like Matthew McConaughey who is actually in a lesser overall production (but does his own scene-stealing in WOWS as well) would win for what wasn't even the best performance he's given over the past two years. McConaughey is climbing the ranks of the Pitts and DiCaprio's as far as popularity versus credibility goes and it would be fine for McConaughey to win as he is just as much a name with housewives as DiCaprio or Pitt are, but giving McConaughey the Oscar for losing a bunch of weight is almost as insulting as not nominating him for best supporting actor last year when he stole Magic Mike out from under everyone and should have done the same in the Oscar race. If McConaughey were to win I don't think anyone would be mad as no one can argue the mans career renaissance since The Lincoln Lawyer three years ago has been fascinating to watch, but to award him the top prize this year for Dallas Buyer's Club when we has competition such as DiCaprio (and even Chiwetel Ejiofor) would seem to be an attempt at making up for what they messed up last year. It is that same line of thinking in not giving the award for said performance but more as a cumulative honor for everything they have accomplished in their career. In all likelihood, McConaughey could very well deserve the best actor statue more next year after we see what he does in anchoring Interstellar, a movie he recently called "the most ambitious thing Christopher Nolan has ever done". This year, DiCaprio deserves the award, not because of the fuss WOWS has conjured up, but because of the nature of how he transcended his own public image and truly became Jordan Belfort. 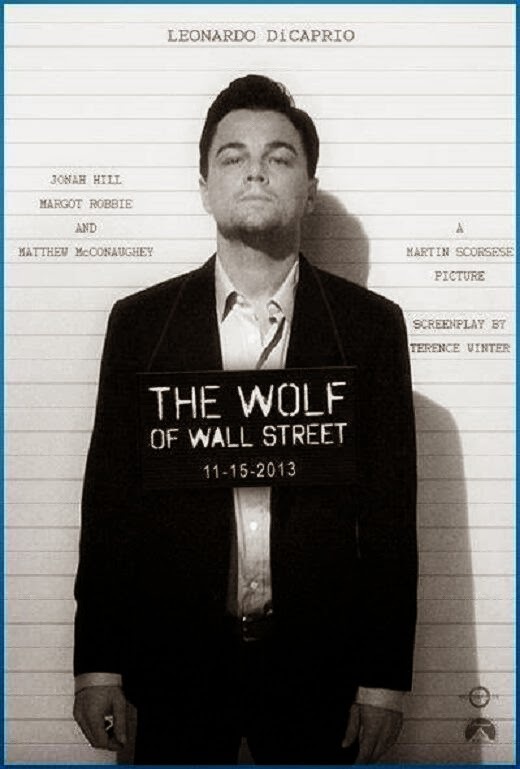 Jordan Belfort is clearly, not one to be admired, yet in the final moments of the film we see him passing on his wisdom to desperate commoners who look to him because of the amount of money he made doing bad things was seen as successful. It wasn't the end journey, it was the period at the end of the sentence which really should have been the fact he served time in prison, but instead was the amount of cash he conned others out of. What DiCaprio's performance does to expose the inner-workings of Belfort's mind though are brought to the forefront in the way he so aggressively repulses the truths of his circumstances. It is easy to dismiss Belfort's existence as a hollow one, not looking for anything more than instant gratification with no eye on the distant road where his luck will eventually come to an end or where his wife and kids will eventually leave him and disregard him as nothing more than a snake, but the magic of what DiCaprio brings to this kind of ignorant arrogance is that he makes you jealous of Belfort's intelliegence and drive and that was what he was hired for, that was his job as an actor portraying this real-life person. Before Denzel Washington played Frank Lucas in 2007's American Gangster I remember recalling an interview where Washington made it clear to the real-life Lucas that his portrayal of him was not intended to be flattering or to make him seem noble or even to necessarily draw attention to him in particular, but more to what an incredible story he allowed to play out in the late-60's/early-70's. I can only imagine that if DiCaprio were placed in front of the real-life Belfort on national television he would do the same. The real Belfort makes a small appearance in the film and after watching several interviews with him and being able to not only see the ego and the nauseating charm at work it is all the more apparent how much talent and pure inference DiCaprio must have to not only bring this guy to the screen and make him bearable for three hours, but to also allow us to invest in Belfort's plight. DiCaprio wants to win an Oscar, that is clear, and he more than deserves it but has had the bad luck of putting out his nominated work in extremely competitive years (both of his other best actor nominations went to Philip Seymour-Hoffman and Daniel Day-Lewis in their respective years) but while he again has come up against the machine that is McConaughey and even Ejiofor (who seems out of the competition as of now, but you never know) whose film has become considered by many as the definitive piece of filmmaking from 2013 and stands to have the longest legacy it still simply feels like DiCaprio's year. That, even more than McConaughey in some regards, he has reached a point in his career where his cumulative worth as an actor couldn't go any higher and his credibility couldn't be more prestigious. All of this coupled with the fact that he's taken part in a work (and was a major factor in making this work happen) that continues to push boundaries, stir up controversy and create conversation not typical of Award-bait films like those his main competitors have appeared in. Keeping all of these elements and different perspectives in mind that only seem to play out as a win for everyone (except his fellow nominees, of course) the only question left is why wouldn't the Academy award DiCaprio this honor he clearly desires? I can only hope the answer is they don't.